Today is the 1st day of 2008. Lord ~ what will this year hold? Jeremiah 29:11 New Living Translation: “For I know the plans I have for you,” says the Lord. ”They are plans for good and not disaster, to give you a future and a hope. In those days when you pray, I will listen. If you look for me wholeheartedly, you will find me. I will be found by you,” says the Lord. Lord, I believe you plan only the best for me. I know that and I know that no matter what happens ~ you are in control and you will carry me through everything!! Lord, I give you 2008 and all it entails ~ from today January 1st to December 31st. All of it. May I grow in you, more and more with each day… O Lord, do your work in me. Little did I know what 2008 would hold. I see why we are not “let in on things” ahead of time. We would literally be stopped dead in our tracks with fear! I believe that. I was an observer ~ not active in the dream. You and Alvin were standing with huge smiles on your faces. Alvin kept saying how excited he was and giving you reassurance that it would all be OK. You were “showing” and just beaming. There were people off to the side from McIvor (our church) ~ not specific people that I could identify. They were saying things about how unbelievable this was ~ didn’t you know any better etc. I would classify these random comments as varied ~ some unsupportive while others were kinda “coming around” to the news. Again, I can’t say enough about how both you & Alvin seemed almost oblivious because of your joy. I also think the dream points to your idea about the retreat centre moving out of an idea and is more visible to others. I also feel your project of a retreat centre is a God thing ~ bigger than any of us. Leah had an amazing pregnancy and a drug-free delivery. But then all our hopes and expectations and joys came crashing down on July 24th, 2008. Our hearts felt like they were literally blown into a million tiny pieces. Life for us stopped at 12:02pm that day, when Jay’s heart stopped. While I can not yet make sense out of it all, and will say again, Jay’s death is a mystery only God himself understands ~ I believe there were two things that I learned through my precious little grandson’s birth and death. 1) How to care for others and 2) God again (very, very strongly) impressed on my heart that I had to get the Vision going! Don’t ask me to explain why I heard that so strongly. I just did, and mentioned that to someone very early after the 24th. Shortly after that day, while our kids Josh and Leah (Jay’s Mom and Dad) had gotten away for a little trip, I got a text from my son Joshua asking me about the Retreat Vision. He told me, all through texting on his cell phone, that he and Leah had been talking/praying about Retreat Vision and Life Plan. I remember texting back and telling him that I was so thankful that they were part of all this, to which Josh texted back “these are big plans Mom”. When they got home from their trip, we sat around the supper table and talked. What has come out of our visits and conversation since then? Their thoughts were that we needed to put our home up for sale (we had been talking about that for a number of years). And, that we should build a combination personal home and retreat center. As the 4 kids sat around the table, they drew some pencil sketches of some ideas. I remember that night Josh said “Mom, people don’t come to your house because of the way you have it decorated, they come because it feels warm here, warm because you live in it! 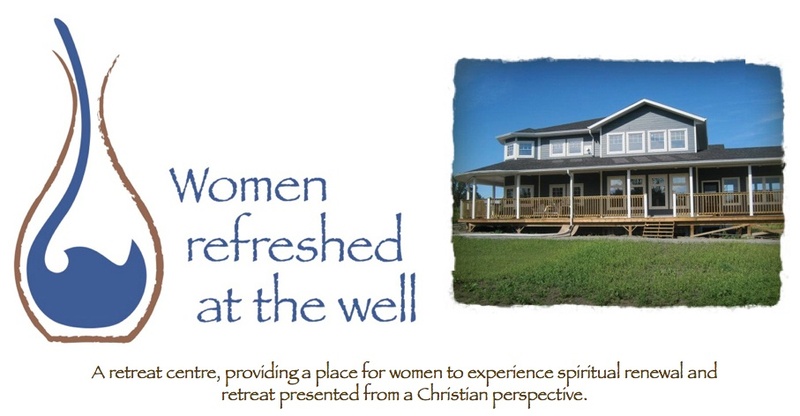 You will never get that feeling in a retreat house that you come and go from as needed!” Josh also said that they had thought that it can not be in the city either (they were quite adamant that Alvin and I were NOT city people, that would be just wrong!!). And, since a bus would not run out north of the city (where Josh was already suggesting) it meant that we would provide transportation if needed! Well, Alvin was unfortunately at work during this conversation, so I quickly brought him up to speed on the suggestions. We talked a lot about this. What could it look like? I have to say that the idea exhilarated us! Honestly though, we were so deep in many things ~ first of all, our grief was consuming us. Then there was so much that I had to get done at work with a new ministry starting up. In the midst of the deepest sorrow came a reprieve of deep joy when our daughter Ashley married Michael Thiessen on Sept. 26th. It was quite something how the greatest of grief met with the greatest of joy. Back in January 08, when we were in Thailand on the mission trip ~ I had a good time over coffee with Louise (one of the missionaries that we went to work with). It was a “heart to heart” which I wept through. I was weeping a lot those days too. I shared with her how God was at work and I felt that He was shaking things up in my life ~ and perhaps “gently removing” me from ministry at the church. I also shared the Vision with her, and how it felt like God was moving in that again. Louise encouraged me to take some time and go to retreat center that she has gone to in Abbotsford, BC called THE MARK CENTER (www.themarkcenter.org). She encouraged me to speak with the founders/directors Steve and Evy. She told me that yes unfortunately for me, they were full for a month with the “TREK team” through Mennonite Brethren Mission Services International (MBMSI). Then she asked me when I was thinking I would like to come to which I replied “next week”. She paused and said that just that morning, they had a cancellation for a suite, and we could have it! I booked a flight for us immediately. Alvin and I “retreated” at The Mark Center. We also got a chance to spend time with Steve and Evy, to hear their story, their joys, their struggles. We prayed together. The time was very good! We came back with renewed passion for WRATW. The rest is history, and a very pleasant memory. Before we had left to go to The Mark Center, Betty (once again) shared another dream she had for me personally. However, she felt there was a connection to the Vision and felt that the time to tell me was appropriate. She told me that she felt that something was going to happen in the New Year in regards to the Vision. I just tucked that away in my heart.